In the wild, bighorn lambs remain with the female ewes and live along high, steep and secluded ledges to protect them from predators such as mountain lions, coyotes and wolves. After the lambs are about a week old, the ewes and lambs reunite with other ewes in a herd. Rocky Mountain bighorn sheep live along mountain ranges from New Mexico up to southern Canada, and the ewes and rams reside in separate herds and only meet to mate. 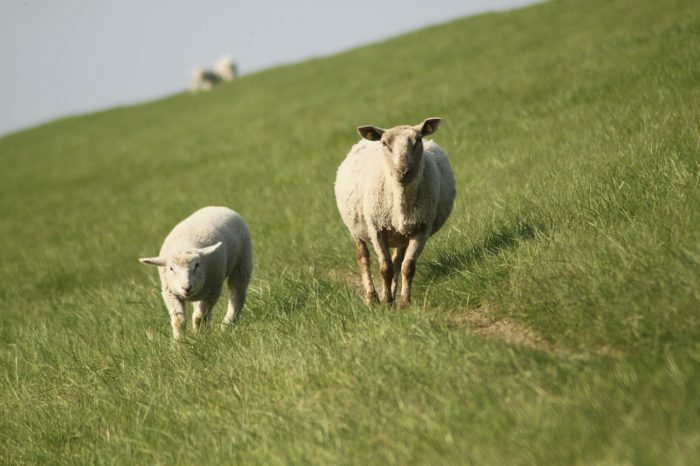 All male and female lambs reside with the ewes, but the male lambs join a ram herd once they reach 2 to 4 years of age.